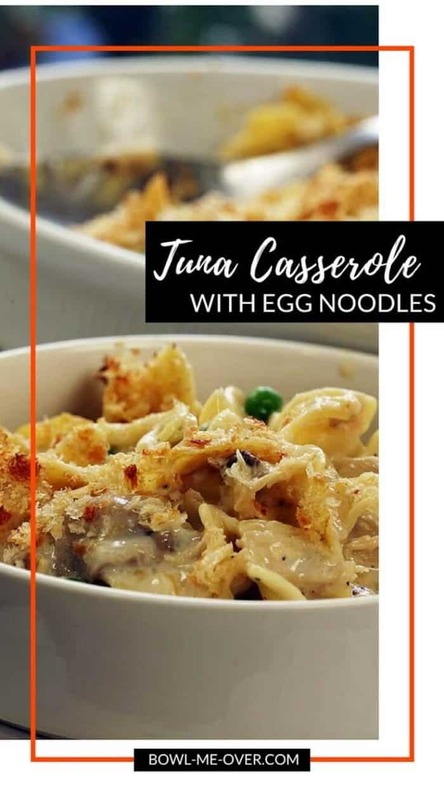 Today I’m serving up classic comfort food, Tuna Casserole with Egg Noodles. 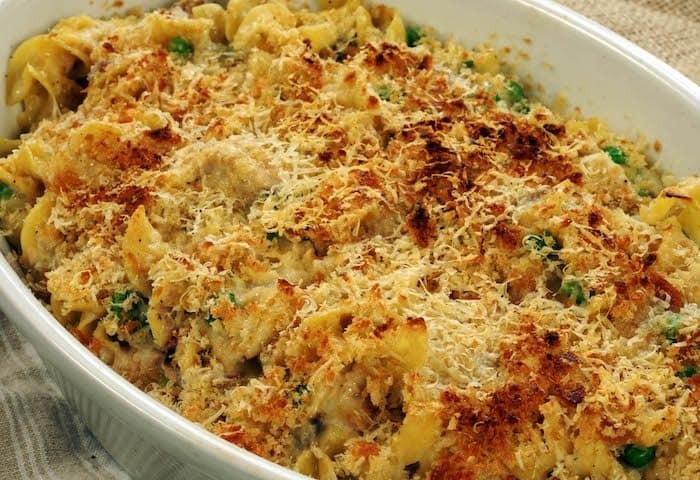 Tender egg noodles and mushroom soup mixed with albacore tuna, combined with shredded cheese, sliced mushrooms and fresh peas. The casserole is baked until hot and bubbly. Finishing it under the broiler makes the top is golden brown and crunchy. It’s a mouthwatering meal your family will love! 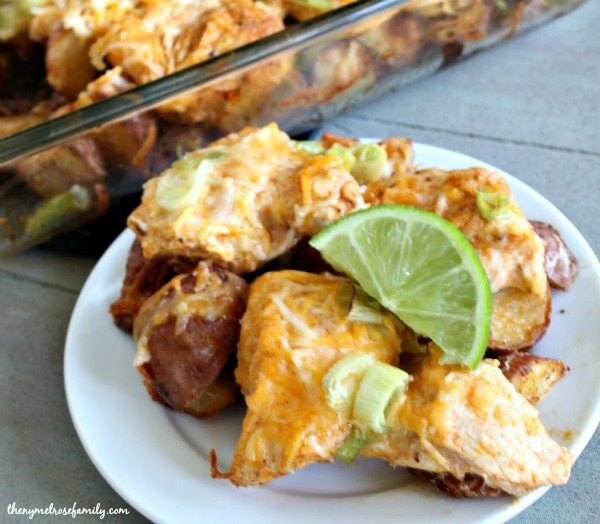 Hey it’s Deb again from Bowl Me Over, stopping by to share another delicious meal! You’d think since it’s mid April I’d be grilling up some good eats for you, but even here in Fresno it’s been cold and rainy. Frankly that got me to be craving an easy meal. Nothing complicated and this certainly fits the bill! What, no bread crumbs? Substitute with potato chips, crushed pretzels or a can of fried onions. I didn’t have bread crumbs either but dug thru the freezer and found some croissants that had been in there for ahem… a while. Into the food processor they went and they were fabulous! mix together the soup, milk, mushrooms and tuna. fold in the noodles and cheese, pour into a baking dish. 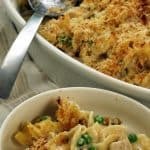 Baked tuna casserole with egg noodles is true comfort food and easy to make. 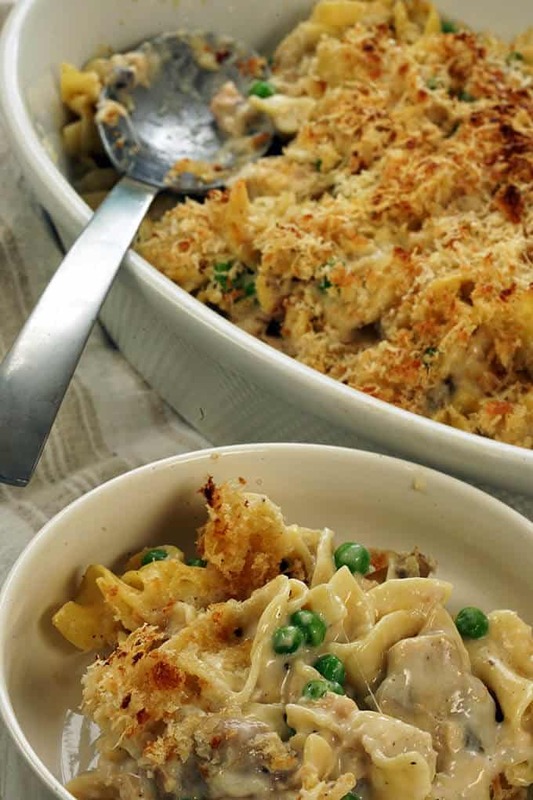 Tuna casserole with egg noodles that is easy and total comfort food. 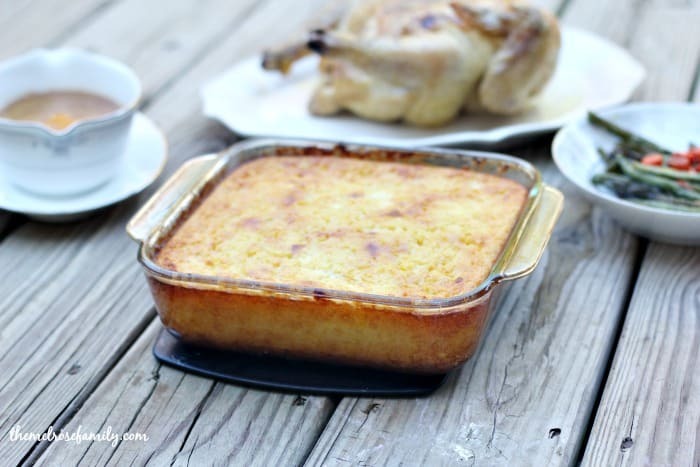 Craving more comfort food – here are a couple delicious meals you’ll find on the blog. 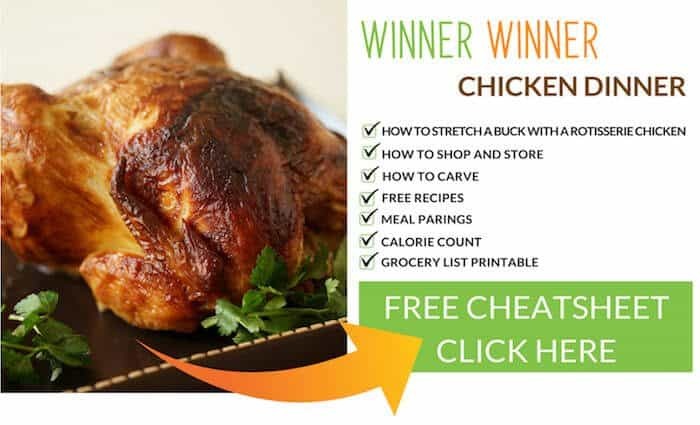 Chicken and Dumpling Soup, step by step directions to make Risotto in just 30 minutes from start to finish and the Ultimate Egg Salad – all quick, easy meals and all are delicious! 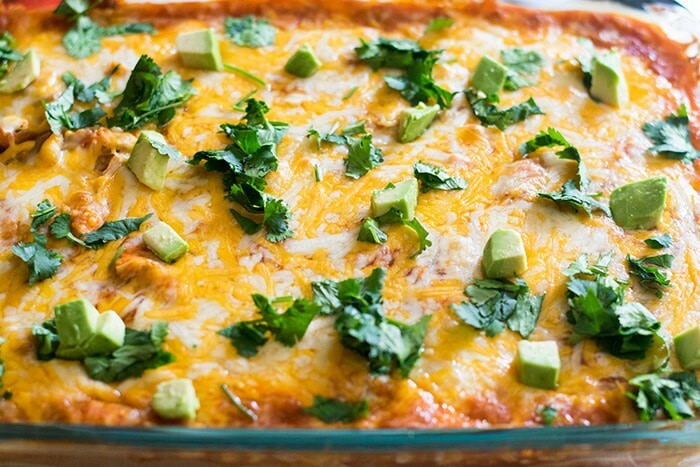 From left to right: Easy Chicken Enchilada Casserole, Lightened Up Jiffy Corn Casserole & Buffalo Chicken Casserole.